We offer a wide range of equipment for Chemistry labs starting with Glassware of all types - Borosilicate, Blown Glassware and Soda Glass as per the needs and budget of our customers. We also offer Wooden Labware, Ceramic Labware, Plastic Labware and the full range of Clamps, Stands, Rods in metal. 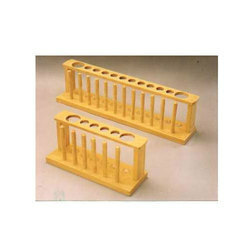 We can also manufacture these products to customer specifications. 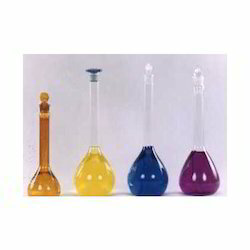 Some of the glass products we supply are Beakers, Measuring Cylinders, Flasks of various types, Funnels, Hoffmann Voltmeter, Test Tubes, Glass rods and tubes. Our range of wooden labware is produced from high quality, well seasoned wood. Type of wood depends upon customer's requirement. We manufacture in teak, mango, steam beech, and also in MDF. Our team of carpenters can produce any wooden lab product to your specifications.